Microsoft is experimenting with peer-to-peer distribution for Windows 10 updates, potentially making the download process less agonizing. 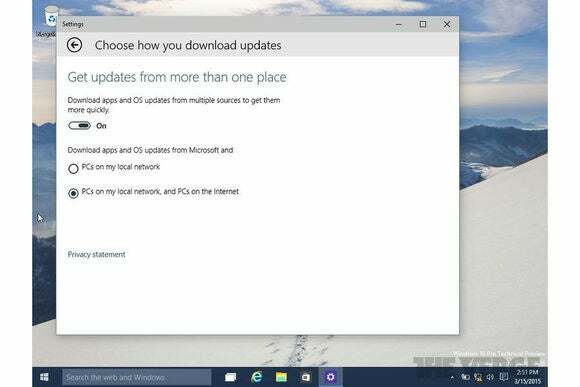 According to The Verge and Ars Technica, the latest leaked build of Windows 10 adds a “Choose how you download updates” section to the settings menu. 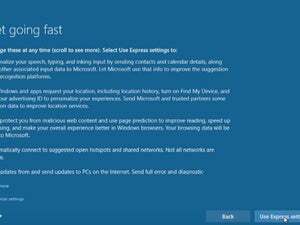 This section has a toggle for downloading apps and updates “from multiple sources to get them more quickly.” Users can then choose to get apps and updates from other PCs on a local network, and from other computers on the Internet. While the leak doesn’t mention peer-to-peer technology specifically, The Verge notes that Microsoft acquired Pando Networks, a maker of P2P file sharing technology, in 2013. It’s possible that this technology is playing a role in the new Windows 10 features. If Microsoft goes ahead with this feature, it’ll likely have to provide some assurances on the security front, as peer-to-peer updates would be a disaster if attackers were somehow able to taint Windows updates. Users may also want to know what kind of responsibilities they’d shoulder on the upload side, in terms of how often they’d be seeding updates and drawing system resources. Microsoft has gone nearly two months without delivering a new preview build for Windows 10, though the company may soon speed up the cycle for users who don’t mind extra bugs. Between peer-to-peer updates and the first release of the Project Spartan web browser, the next build is shaping up to be a big one. Why this matters: If you’ve ever tried to install a major Windows update on launch day, you’ve likely experienced the pain of sluggish downloads and server timeouts. A peer-to-peer system would solve that problem by taking a load off Microsoft’s servers, provided the company can make sure its software stays secure along the way.